On Nov. 1, Eboo Patel, who founded the Interfaith Youth Core and served on Obama’s inaugural Faith Council, arrived at Swarthmore. During the roughly 24 hours he stayed, he led four workshops, participated in a world religions class, attended a dinner with President Valerie Smith and other faculty members, and delivered a keynote speech, “Building a Healthy Religiously Diverse Democracy: America’s Promise in a Time of Crisis.” The events focused on the benefits of understanding and acknowledging religious diversity, even in secular spaces. In his keynote speech, Patel said that hatred of immigrants and other people with different beliefs creates a barrier against their contributions that inhibits societal progression. He then spoke on the history of religious prejudice in America, beginning with the anti-Catholic Know-Nothing Party in the 1850s and the movement that pushed against it. Patel, a Muslim, applied this idea of a national narrative to the modern issue of Islamophobia and fear of Muslim immigrants. “What new civic initiatives do we need now in this moment of Islamophobia?” he said. Joyce Tompkins, director of religious and spiritual life at the college, planned Patel’s visit with pastor of Swarthmore Presbyterian Church Joyce Shin and religion professor Mark Wallace, all of whom are members of the Interfaith Council of Southern Delaware County. They aimed to bring together leaders of different faith groups and to strengthen relationships between the Interfaith Center and the Borough. “When I first heard Eboo Patel speak on the need for interfaith cooperation in our society, I was struck by two things: first, his ability to speak across many different audiences, by which I mean audiences that consist of different religious backgrounds, different generations, different points of view, and different assumptions; and second, Eboo’s consistently constructive approach to making interfaith cooperation a social norm,” Shin said. When Shin first pitched the idea over a year ago, Tompkins was doubtful that Patel, a prominent figure in interfaith leadership, would want to come to Swarthmore. However, Tompkins feels that Patel saw an opportunity for expanding interfaith collaboration to secular campuses. According to Shin, Patel touched on the significance of religious tolerance and sensitivity to religious issues, even for those who do not practice religion themselves. “My hope is that Eboo’s constructive approach will draw out and make room for other constructive approaches in building cooperation among different religious communities as well as show the significance of interreligious cooperation in the civic sphere,” she said. During the student workshop before his talk, Patel gave student leaders case studies of religion-related conflicts that have occurred in secular places such as schools and workplaces and asked them to discuss possible approaches. One situation involved an Orthodox Jewish man who refused to sit at his assigned seat on an airplane because it was next to a woman; one was the difference in power if it were a Muslim woman refusing to sit next to a man. Another case study was a group of Muslim women who requested an hour of time at the public pool reserved for women only; another involved Hindu students that protested the dining hall serving beef in the only eating facility on campus as being offensive to them. Abha Lal ’18, an intern for the Interfaith Center, attended the workshop Patel gave for student leaders. According to Lal, religious literacy and interfaith dialogue can give us insight into everyday interactions. Though Lal feels that Patel’s message about interfaith discourse has crucial implications, she stated that she and other Swarthmore students would disagree with Patel’s claims about American excellence. “My main qualm was that as important as his approach is, it seems to base itself a little bit uncritically on American exceptionalism, something that is hard to be fully on board with for people here for good reason,” Lal said. 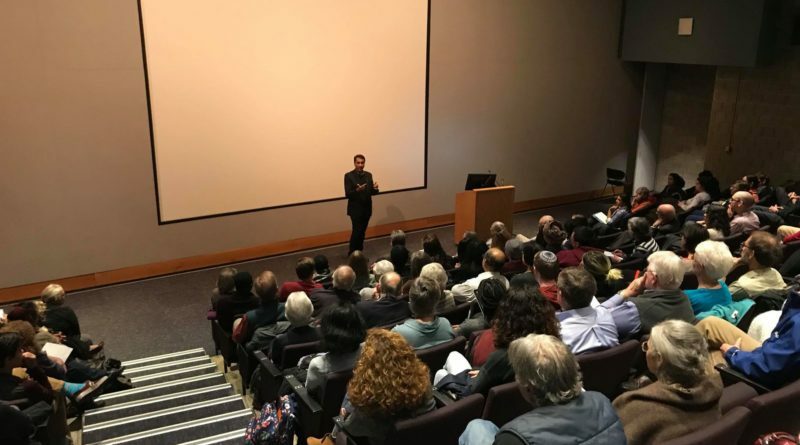 Patel also led a workshop on sensitivity to religious differences for Swarthmore faculty, a workshop for students at Strath Haven high school and a workshop for leaders of local congregations. Cielo de Dios ’21 attended Patel’s keynote speech with her classmates from “Religion and the Meaning of Life,” taught by professor Ellen Ross. The class is currently reading Patel’s book “Acts of Faith,” a memoir about the struggles of being a Muslim in America. She feels that her experience at the college has been in accord with Patel’s ideal for democratic discourse. Patel mentioned a “circle of dialogue” multiple times, which is the range of people with whom someone is willing to converse about differing beliefs. While Ryan Arazi ’21 agreed with Patel’s concept of a religiously diverse democracy, he found the notion of a “circle of dialogue” idealistic. According to Arazi, Swarthmore students tend to be like-minded and therefore not particularly open to interfaith dialogue. According to Patel, religious diversity is a central tenet of social change. De Dios agreed with Patel’s emphasis on willingness to engage others with opposing opinions in conversation, but she felt that Swarthmore students generally identify more with the type of social change represented in the Desmond Tutu quote “If you are neutral in situations of injustice, you have chosen the side of the oppressor,” which a Swarthmore student brought up during the 30-minute question-and-answer session after the keynote speech. Tompkins was very satisfied with the attendance at the workshops and at the keynote speech. She felt that this event is representative of recent changes that she has worked to enact as director of religious and spiritual life at the college regarding dialogue around religious differences. 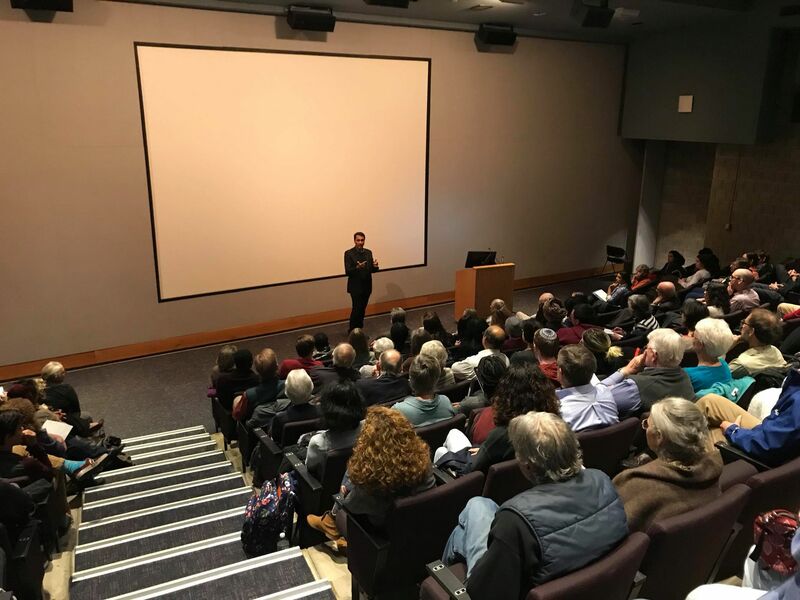 For Tompkins, Shin and the Interfaith Council, the success of the event bodes well for similar collaborations between the college and the Swarthmore community in the future. President Valerie Smith, who introduced Patel’s speech, delivered similar sentiments about religious diversity. “During these tumultuous times when democratic values are being challenged, by engaging with difference, particularly religious difference, we acknowledge our shared humanity,” Smith said.